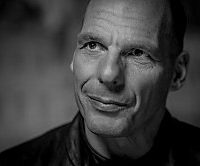 Yanis Varoufakis is a Greek economist and was Member of the Parliament of Greece between January and September 2015. In 2015, he was Minister of Finance and voted against the terms of the third bailout package for Greece and resigned in July 2015. In February 2016, he launched the Democracy in Europe Movement 2025 – DiEM25. His most recent book is entitled: And the Weak Suffer What They Must? Europe’s Crisis, America’s Economic Future. Kształt unijnych instytucji jest wadliwy – mówi w wywiadzie dla Zielonego Magazynu Europejskiego Yanis Varoufakis, były minister finansów Grecji.